The IBPS conducts different exams every year to recruit candidates for various available posts in the participating banks. The IBPS conducts the RRB exam to recruit office assistants and officers in the different regional rural banks across the country. 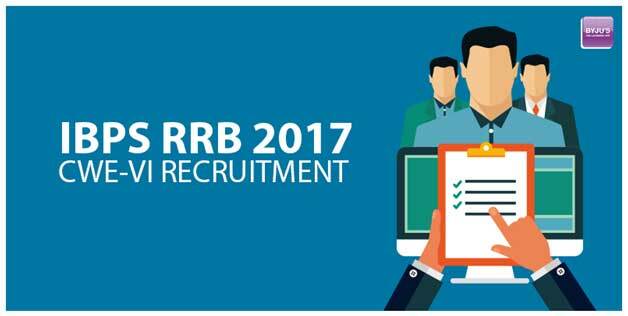 IBPS will soon release the IBPS RRB CWE-VI notification for the year 2017 and will mention the number of vacancies this year. The pattern of the exam will be similar to last year i.e. the exam will be conducted in 2 phases (prelims and mains) for the Office Assistants and Scale 1 officers whereas a single exam will be conducted for the Scale 2 and Scale 3 officers. Mentioned below are the post-wise exam details for the IBPS RRB exam. The Exam for IBPS RRB Office Assistant will be conducted in two phases i.e. the Prelims and the Mains. The prelims exam is conducted for 45 minutes and will include the sections of Numerical Ability and Reasoning. The mains will be of 2 hours and include 3 additional sections of General awareness, languages (English and Hindi) and Computer Awareness which will be conducted for 2 hours. The exam and pattern for the Officer Scale 1 are similar to the Office Assistant i.e. the exam will include 2 phases of prelims and mains having the same pattern. The Officer Scale 1 exam will also involve an interview stage after the mains exam. A single examination is conducted for the Officer Scale 2 exam having 200 marks. The Officer Scale 2 has two different posts i.e. General Banking Officers and Specialist Cadres. The single exam will include 5 sections namely, Reasoning, Quantitative, Languages, Financial Awareness and Computer Knowledge. The Officer Scale 2 (Specialist Cadres) will have an additional section of Professional Knowledge paper. The Officer Scale 3 is a senior management level job and a single examination is conducted for their recruitment. The pattern of the exam is same as that of the Officer Scale 2 (General Banking Officers). The tentative dates for the IBPS RRB exam are given below to help the candidates prepare accordingly. As the Bank Exam is one of the most competitive exams in the country, it attracts a huge number of aspirants every year. So, the candidates are required to have a proper preparation to have an advantage over the others in the crowd. With a degree in Engineering, Souvik Bhattacharjee is a content writer by profession. He loves writing and blogging along with part-time teaching. He is presently exploring all about the digital education with Byju’s-the Learning App.